Marketing managers are often in a dilemma about which pricing index to rely on while calculating the annual increase in the prices for their product. To provide insights that can reduce this dilemma, a critical comparison of the Producer Price index and consumer price index is called for. In this study, the relation between the Producer Price Index (PPI) and Consumer Price Index (CPI) was investigated through a comparison between Turkey and UK. 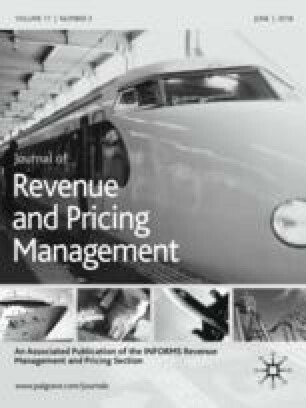 Unlike many other previous studies, this study tried to determine the dominant pricing approach in an economy by examining the relation between the producer and consumer prices. In this context, VAR, impulse-response, variance decomposition, and Granger causality tests were used for the analyses of time series data. The results of study showed that there was bidirectional causality between the producer and consumer prices in both countries. Therefore, it was asserted that businesses in both countries generally apply mixed pricing approach. The results thus provide some interesting insights that can aid marketing managers in their pricing decisions. See Tables 5, 6, 7, 8, 9, and 10. Cutler, J., C. Chan and U. Li. 2005. The relationship between commodity and consumer prices in Mainland China and Hong Kong. Hong Kong Monetary Authority Quarterly Bulletin, June. http://www.info.gov.hk/hkma/eng/public/qb200506/fa2.pdf. Accessed April 2007. Demir, Ö. 2007. Price Indexes and Inflation, DIE Sorularla İstatistikler Dizisi 2, Ankara. http://w3.gazi.edu.tr/web/atilla/notlar/not1.pdf. Accessed October 2007.